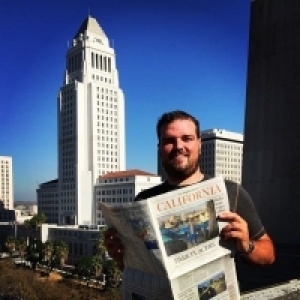 Patrick is a photojournalist in Los Angeles specializing in news, features and sports: looking to capture unique moments of life with every assignment. Editorial clients include the Los Angeles Times, The New York Times, Reuters, Bloomberg News, Associated Press, Agence France-Presse, Wall Street Journal, and The Dallas Morning News. He also has demonstrated his experience as a skilled field editor under extremely tight deadlines at major events including the Olympics, Stanley Cup, NBA Finals, World Series and NASA Curiosity Mars Rover landing. In these situations production deadlines were met enabling global wire service distribution and saving significant press time for newspaper production. His work has received awards from the NPPA, SportsShooter.com and the College Photographer of the Year. He also attended the Eddie Adams Workshop XXIII and is a member of ASMP. He is available for assignments throughout California, with the ability to transmit remotely on location on deadline. Please contact him for more information.